LPFounded in 1993, Zhengzhou LP Industry Co., Ltd locates in Yanling Economic Development Zone in Henan Province with total assets RMB410 millions. The company covers an area of 100,000.00m2 with building area reach 30,000 m2. It is a modernize enterprise with 20 year professional manufacturing history. 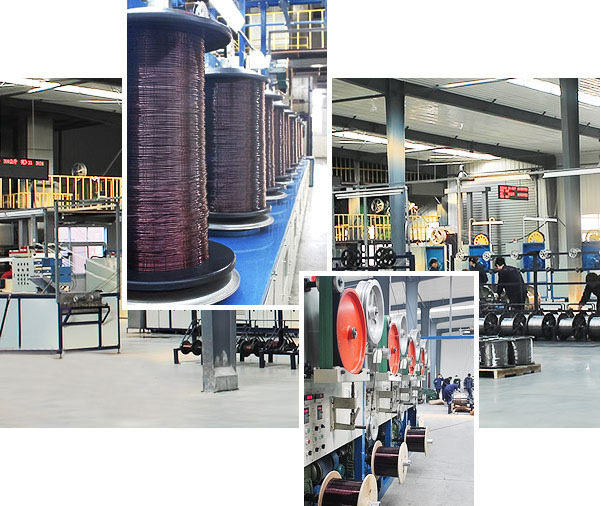 From the very beginning till now, the company devotes to research and manufacture enameled magnet wire and winding magnet wire. Our factoryZhengzhou LP Industry Co., Ltd.
Zhengzhou LP Industry Co., Ltd will provide clients best products with the best quality and the best service. We are looking forward to cooperating with you. In recent years, the company uphold the concept of "quality first", we are committed to creating excess value for clients. At present, our products directly or indirectly export to more than 50 countries and regions including Europe, the US, Asia, and Africa and so on through other foreign trade corporations, cooperating over 200 oversea customers. The company has a full range of enhancement during the process of continuous contact with foreign customers, and have been awarded "re-contract and trustworthy enterprise" by Administration for Industry and Commerce and Financial Department. Our company’s main products: enameled copper wire, enameled aluminum wire, PVF enameled wire, paper covered wire, fiber glass covered wire, film covered wire, enameled copper clad aluminum wire, NOMEX paper covered wire, kapton wire, oxidative aluminum wire and so on.